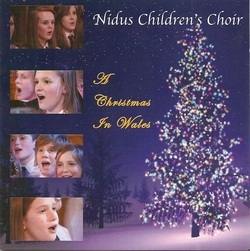 ﻿Nidus Children's Choir Christmas CD - "A Christmas in Wales"
Now available! Our Christmas CD. Full of wonderful Christmas music, including "I Orwedd Mewn Preseb" featuring Bryn Terfel. A brilliant Christmas present for all the family. Don't miss out, buy one (or more) today!